Today Asus unveiled two new Android tablets with high resolution screens ideal for ereading. There’s a 7-inch model and a 10-inch model; both are upgrades to Asus’s MeMo Pad line of tablets. The 7-inch Asus MeMo Pad HD 7 is what the original MeMo Pad 7 should have been: It has an upgraded 1280 x 800 resolution IPS display instead of 1024 x 600; it has quad-core processor instead of single core; battery life has jumped from 7 hours to 10 hours; it sports a 5MP rear camera that was nonexistent on the earlier model, along with a 1.2MP front camera; and it comes with Android 4.2 instead of Android 4.1. With all the upgrades you’d think maybe the price would go up, but luckily that’s not the case. The 7″ MeMo Pad is expected to sell for $129 for 8GB and $149 for 16GB, although the cheaper model is supposedly only going to be available in select markets. Now that the specs have improved, the 7″ MeMo Pad is a solid alternative to tablets like the Google Nexus 7 and Kindle Fire HD, especially since the MeMo Pad has a microSD card slot. It has some stiff competition though. The Hisense Sero 7 Pro has even more features and spec upgrades for the price. The new Asus MeMO Pad 7 is expected to be available starting in July. The new 10″ Asus tablet is called the MeMO Pad FHD 10 and it won’t be available until September of this year. Asus hasn’t announced the price yet, but it will likely be in the neighborhood of $299 like the current 10″ MeMo Pad. 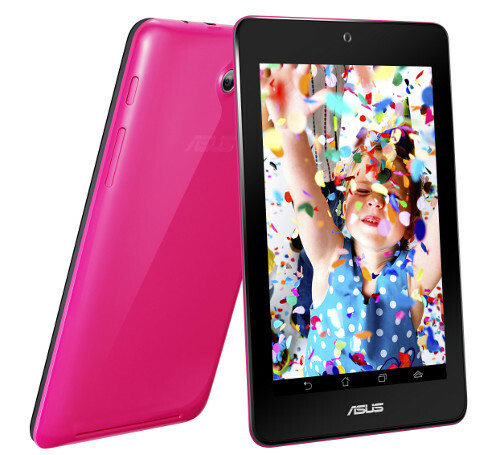 The Asus MeMo Pad 10 features a 1920 x 1200 resolution IPS screen, an Intel Atom Z2560 1.6GHz dual-core processor, a 5MP rear camera, 1.2MP front camera, GPS, GLONASS navigation, Asus Miracast, microSD card slot, and 10 hour battery life.